SALT LAKE COUNTY, Utah (ABC4 News) – A tale of two storms is making its way across the state this week. We can mostly expect rain in the valleys and snow in the mountain. 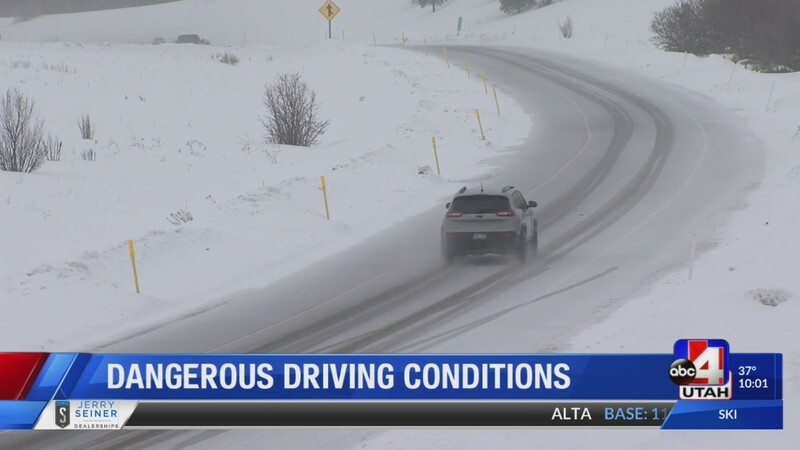 “That’s going to be treacherous traveling conditions for a lot of people out there,” said John Gleason, Spokesperson for Utah Department of Transportation. Gleason recommends drivers go slower than freeway speeds, even in the rain. “If you have standing water, pooling water on the freeways, you can hydroplane just as easy as you can, hitting those icy slick spots on the road when it’s snowing.,” he explained. ABC4 had a news crew up Parley’s Canyon Wednesday night. Our cameras watched as drivers trudged through the slush on I-80. “We’re already seeing chains and four-wheel drive restrictions in place throughout much of Utah — in those mountainous areas, the canyons,” said Gleason. The winter storm is expected to linger around, which means your commute out of town for the holiday weekend could be hectic. Gleason wants drivers to plan ahead.